Much of our products find inspiration through the Five Factor Model (FFM) or the Big Five Personality Traits. As established in much of the literature within the psychometric universe, the FFM finds use in many tests of renown consistency and validity. Ours included. It builds on a foundation that people are most efficiently described based on their standing on five broad personality traits. At Mettl, a team of in-house psychometricians and data scientists serve to take steps beyond the broader facets that describe the FFM. Instead choosing to develop 26 scales of narrower sub-facets, from which our tools find their foundation. One of the earliest tools to come into production, the Mettl Personality Inventory (MPI) is an innovative, evidence based assessment. It measures personality traits relevant to critical components of work. The principle behind the test aims to predict behavioral competencies that lead to organizational, or better yet - business outcomes. As is the case with any inventory, the MPI extensively focuses on its design to help employers gain access to objective information in synchronicity to a pre-existing employee or job applicant. But in terms of test composition, the MPI consists of 80 items (questions) across the Big 5 personality factors or the five factor model. One of its biggest advantages lies in its flexibility, allowing users in the form of client organizations to customize its configuration and scoring to fit specific needs of the same. It provides reports designed to facilitate hiring decisions for influencers within the organization. The standard report is known to show scores based on the individual’s comparative scores across 8 critical and 17 sub-competencies. While the tool is suited to map to Mettl-Designed Competency Frameworks, the MPI also finds use through other competency frameworks pre-set within an organization. Likert Scaling is a bipolar scaling method that measures positive or negative responses with respect to a statement. On oncassion, the Likert utilizes an even-point scale where the middle option of Neither Agree nor Disagree is unavailable. This is often referred to as a forced choice method, considering the removal of a neutral option. The MPI utilizes a five-point scale. Central Tendency Bias: The avoidance of using extreme response categories due to an inherent desire to avoid being perceived as an extremist. Acquiescence Bias: An agreement of statements as presented, a situation particularly strong amongst children, developmentally disabled people, or the elderly. These are people often subject to a culture of institutionalization, which incentivizes and encourages an eagerness to please. Social Desirability Bias: A portrayal based on what the examiner or society considers more favorable, regardless of trueness. This is an intersubjective version of either faking good - evaluated as indicating strength or lack of weakness, or faking bad - provide answers that would be indicative of weakness or presence of impairment/pathology. In terms of tool rigour, or quality of test, the MPI scores between the range of 0.4-0.67 on validity, and 0.63-0.73 on reliability. The data was collected on a sample of 2,000+respondents representative of varying ages, genders, job levels and education. You may infer more about validity, reliability or norming in Chapter 2. The Mettl Personality Profiler (MPP) is a tool developed in succession with the MPI, consisting of 86 items across the Five Factor Model (FFM). It utilizes the Semantic Differential Scale, which serves to reduce the problem of respondents either faking good or bad. The change of scale improves the assessment’s usefulness. 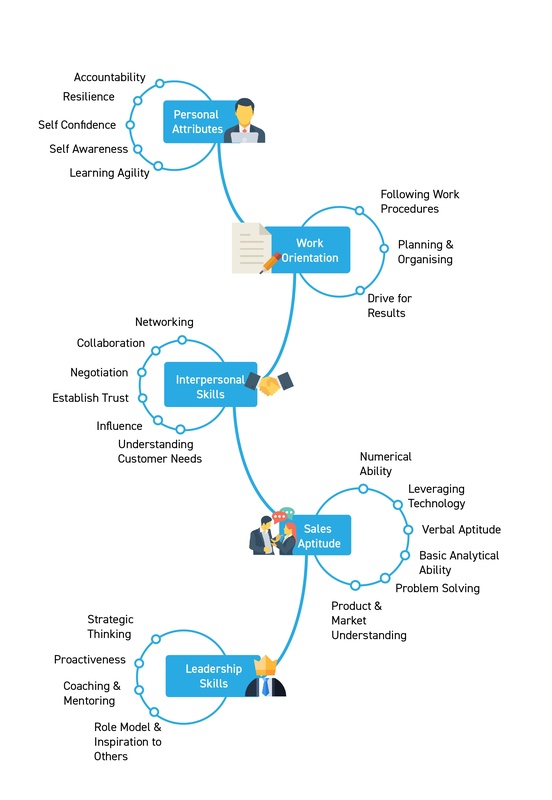 Key features and functionality remain inherently similar to the MPI with customizability outside the Mettl Competency Framework, in the tool’s ability to map to any job role within organizationally specific competency frameworks and measure relevant traits required for critical work. The tool allows its users to customize its scoring and configuration to tailor to specific needs also, using client inputs to determine performance-based or behavioral competencies most critical to success in the organizational or individualized process. MPP reports are known to facilitate smoother hiring decisions with comparative scores representative of 8 critical competencies and 17 sub-competencies. The Semantic Differential (SD) scale works on the measurement of two polar objectives. For example, good-to-evil, adequate-to-inadequate, valuable-to-worthless. It primarily measures opinions, values and attitudes on a psychometrically controlled scale. In contrast to the Likert Scale, where a candidate is given the choice to either agree or disagree with a statement, the Semantic Differential Scale offers to help a candidate complete a statement with two polarized options along with a neutral or balanced option. Additionally, a semantic differential response format may offer alternatives to negations for reducing much of the bias experienced with the likert scale. But a drawback with the format is an increased cognitive demand from the candidates, introducing new errors in scores. In a study conducted by Oddgeir Friborg, Monica Martinussen, and Jan H. Rosenvinge, 334 university students completed a psychometric test using both formats. Apart from a slightly reduced variance and internal consistency, the factor structure in the semantic differential version fitted the data better. It reduced bias without lowering psychometric quality. In terms of tool rigour, or quality of test, the MPP scores between the range of 0.4-0.75 on validity, and 0.63-0.88 on reliability. You may infer more about validity, reliability or norming in Chapter 2. The Mettl Sales Profiler (MSP) is a proprietary tool that provides a competency-based framework best utilized to build sales teams. It measures for team cohesiveness with high value pieces across the board, ensuring that the team on whole performs at absolute efficiency. This is done via the identification of critical cognitive and behavioral competencies unique to your organizational requirements. MSP makes it possible to evaluate a sales person’s true potential for each job role regardless of industrial or hierarchical differences, be it an in-store shoe salesperson or someone primed to sell complex IT solutions to CXOs. The tool also serves to address your critical priorities with data-backed insights, helping save time and in the manifestation of better business decisions. The theory behind the tool stems from collaborative research with SHRM (Society for Human Resources Management). Based on extensive research, the tool creates itself from the empirical evidence of over 1,600+ sales professionals across industries. It also forms its foundation on a Three Factor Model. A Mettl-SHRM Whitepaper titled - Demystifying Sales Hiring covers the Three Factor Model, including examples that covers several job roles across industries. With assessment technology applied on primarily investigative research on a performance bell curve of employees, and secondary research from subject matter or industry experts, a couple of competencies and sub-competencies have been found to influence sales job roles. More information regarding the competencies utilized are better received from literature covered in Mettl Science. You've made it through the entire guide on Psychometric Tests.